This Hotpoint CG200UP0UK Ultimate Collection 3-in-1 contact grill comes in a contemporary stainless steel finish to complement any kitchen, 2000 watts of power, 5 different temperature settings and a handy timer. This appliance can be used closed as a grill or for heating Paninis. Additionally, it can be opened fully to 180 degrees for use as a griddle. 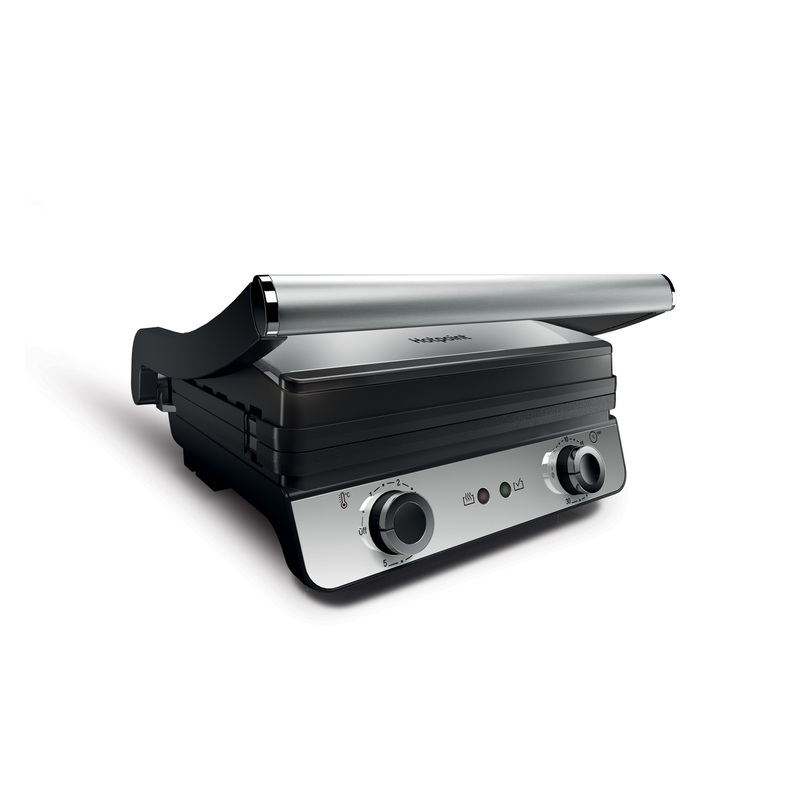 This grill also features adjustable hinges so it can evenly cook any thickness of food whilst closed, as well as an integrated drip tray, so excess cooking juices or fats simply run off the plates and away from the food, for perfect healthy cooking. It features reversible plates, so with a simple click, you can turn the griddle into a flat plate, ideal when cooking eggs or pancakes, and thanks to its non-stick coating, these plates are so easy to clean, or they can be even put in the dishwasher. So for a convenient and nutritious way of cooking tasty food, that's simple and easy to use and clean, then the Ultimate Collection 3-in-1 contact grill is the perfect kitchen appliance.